We have listed all of the Mabel food pantries that we have found. With help from users like you we have compiled a list of some. If you know of a food pantry that is not included here, please submit new food pantries to our database by going to the ADD A LISTING link on the header of our website. Operating hours are between 5:00 and 7:00 PM on Thursday, as well as between 9:00 AM and 12:00 noon on the third Saturday of the month. 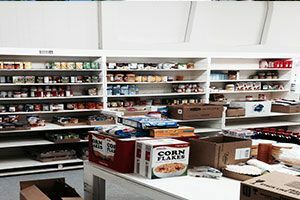 The Mabel Area Food Shelf can be found on the second floor on Mabel First Lutheran Church by using the glass door on the Oal Street side of the church. Due to the low number of listings in Mabel, we have added area listings below.